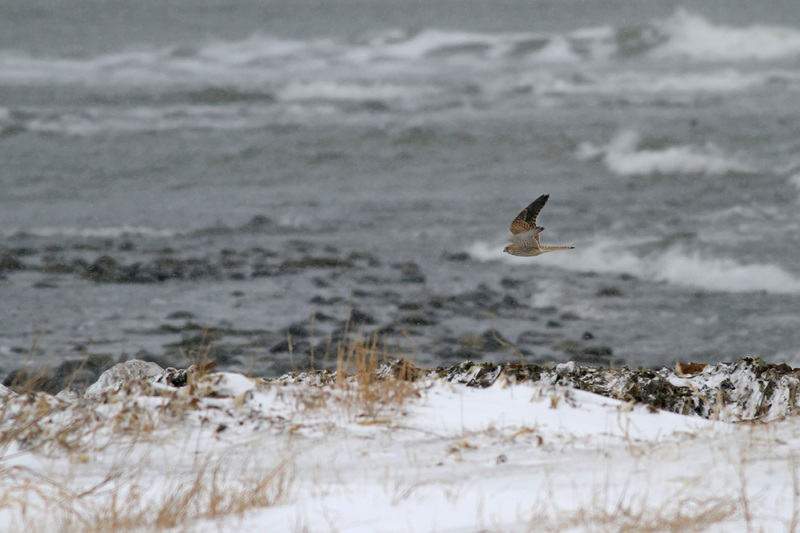 Ever since the Eurasian Kestrel near Halifax, Nova Scotia was identified back in late December, I had been looking for an opportunity to drive up to see it. 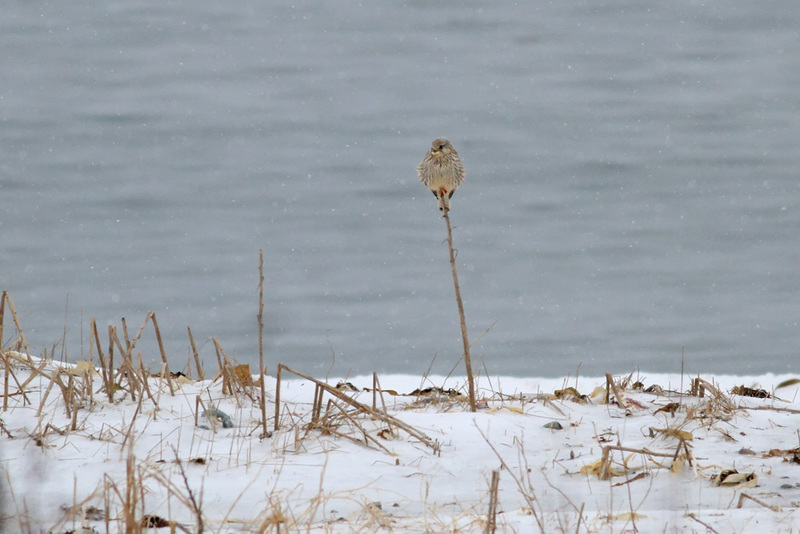 My anticipation doubled when a Fieldfare joined the party in late January. 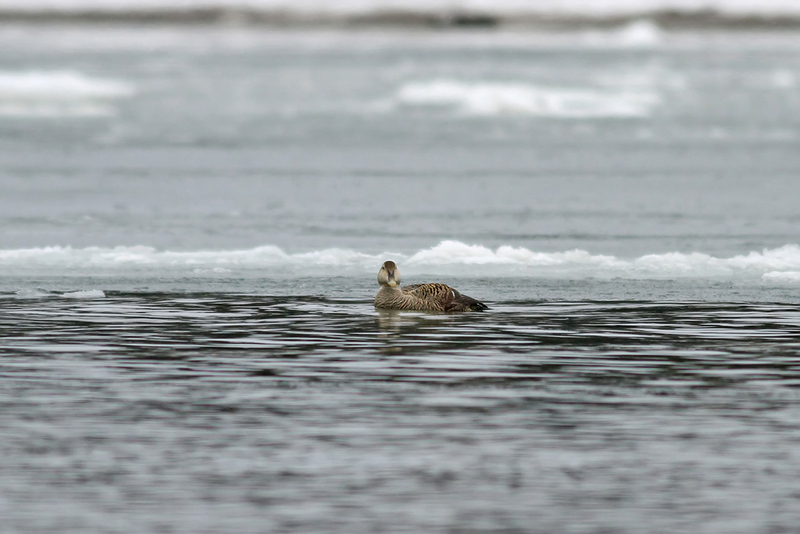 Just last week everything finally came together, and I headed north with Tom Johnson and Matt Sabatine. We managed to time our departure between winter storms, most notably on the heels of a blizzard that dropped 1-2 feet of snow on our destination. (If you've watched the national news for all of five minutes recently, you might think that we've all been buried alive under snow drifts.) 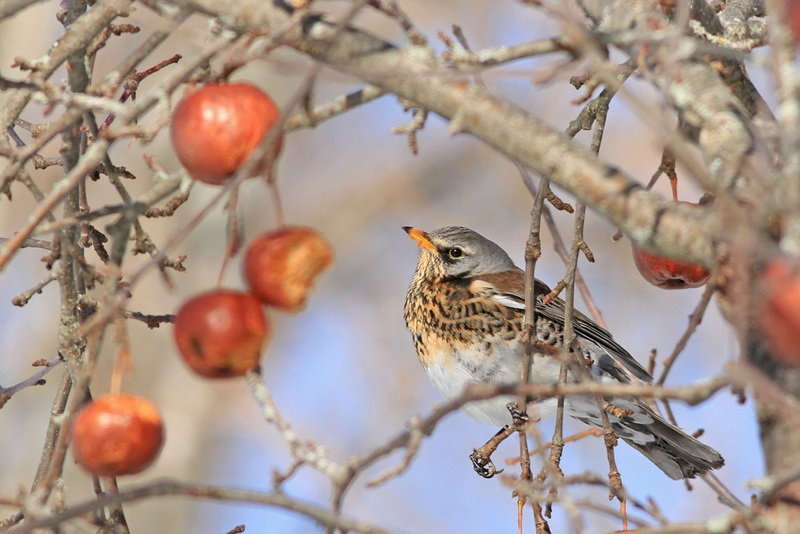 We drove up overnight Monday in hopes of reaching the Fieldfare sometime on Tuesday morning. 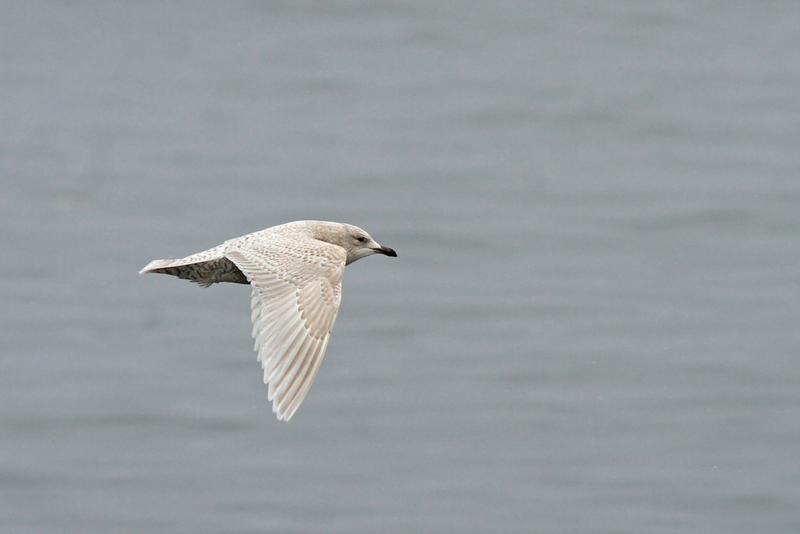 The drive through New Brunswick was almost completely bird-less, but we did run into a few nice adult "Kumlien's" Iceland Gulls once we hit Nova Scotia...the first of what would be many this week. We were pleased to find that the road to East Apple River (Fieldfare country) was freshly plowed at the start. Some deft driving on Tom's part got us through a few soft spots, and we were making relatively good time until we caught up to the plow itself, which was steadily inching its way along the final few miles of road. Perfect timing, actually. Following the plow to freedom! We arrived to be greeted by the bird's hosts, the Spicers. 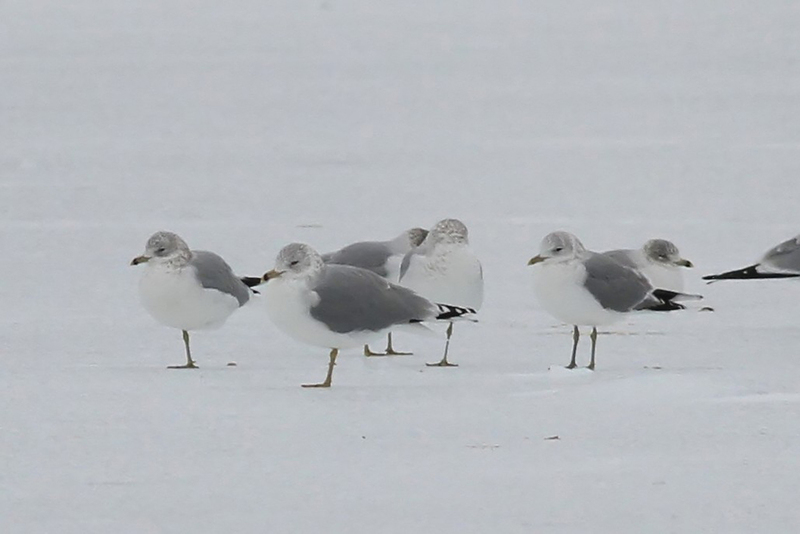 Kathleen Spicer has been keeping a notebook of visitors since the bird arrived on Jan 31st, and her count had reached into the 80s with us (must be triple digits by now). It was immediately apparent, as we got out of the car, that this was a very birdy yard. 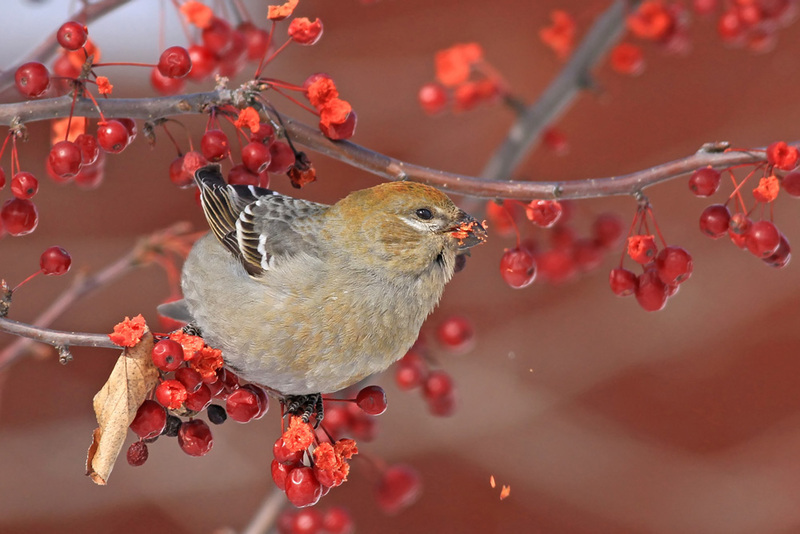 Common Redpolls and Pine Siskins were on the feeders, while Snow Buntings and Horned Larks were on the rooftop and in surrounding trees. 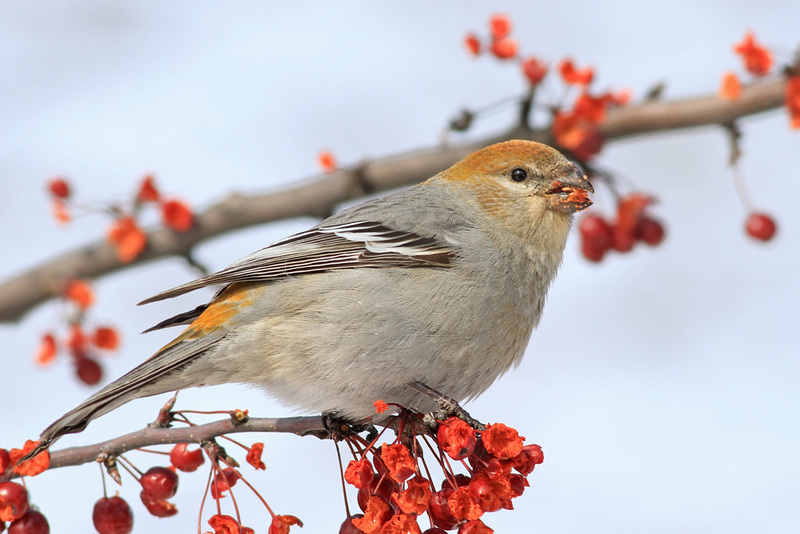 The finches I had expected, but the open country birds were a bit of a surprise to me. 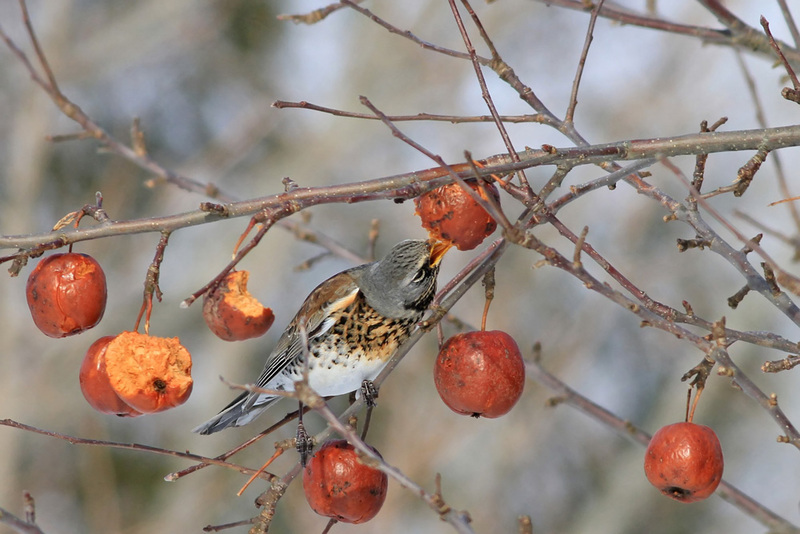 Kathleen was quick to point out the lone apple tree in which the FIELDFARE was almost constantly present during the day, chowing down on frozen rotten apples that it defended voraciously from other birds. Yep, there it was. We had the bird all to ourselves and watched it for over an hour while it continuously fed on apples, occasionally giving a series of "clucks" and flying up and into the trees across the yard. Any departure from the apple tree was brief, however. 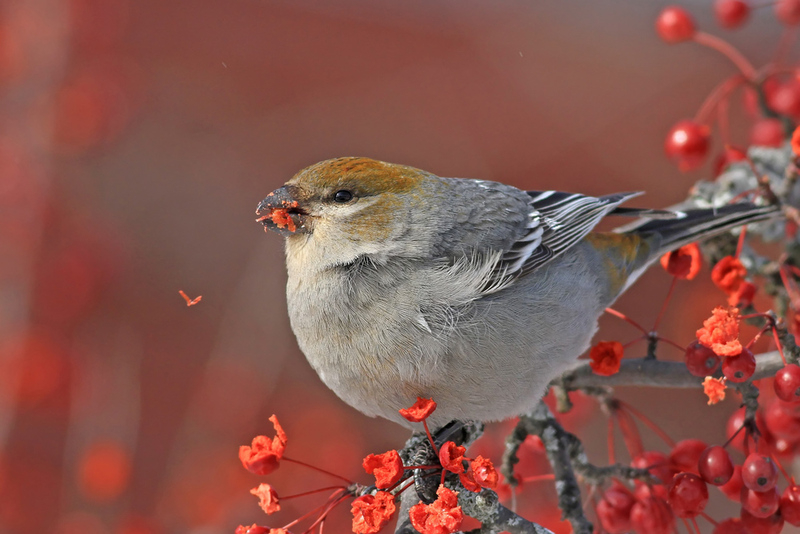 Other than the occasional chickadee, no bird dared enter that apple tree. Kathleen told Matt that the Fieldfare even chased off a flock of Bohemian Waxwings earlier that day. 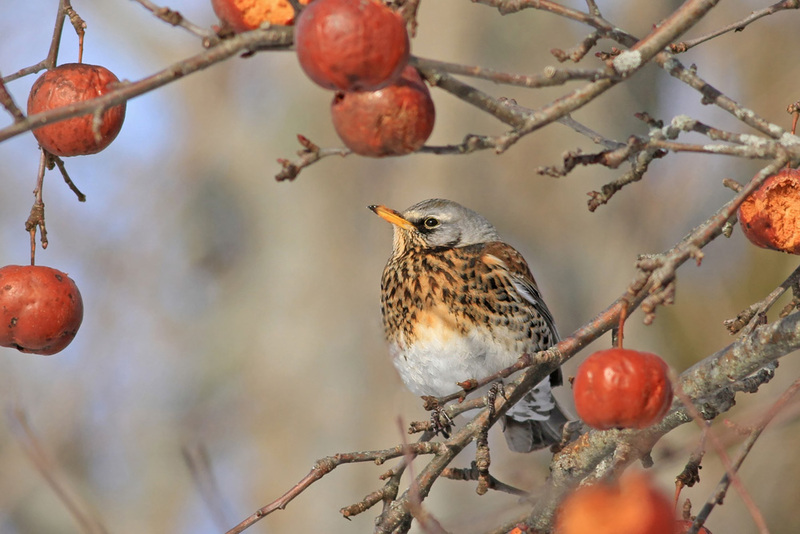 I soaked up every second of watching this bird, as Fieldfare had been a species I wanted to see for a very long time. 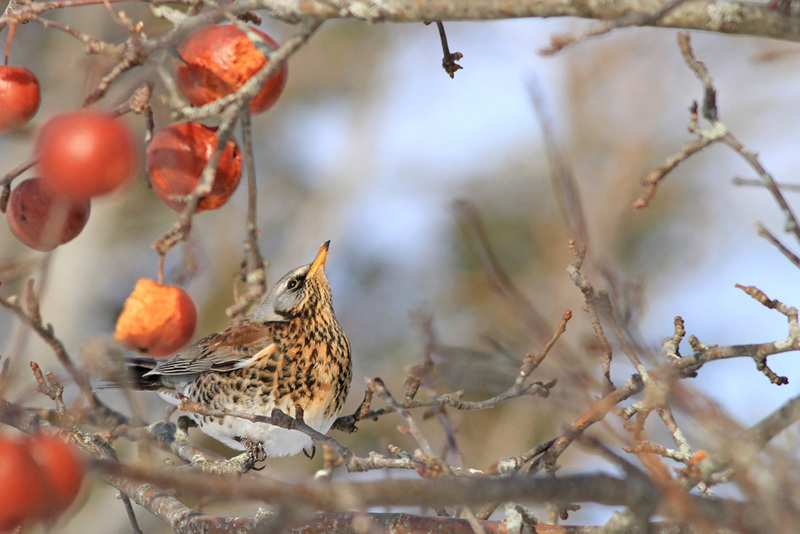 A chase-able Fieldfare turned up in eastern Massachusetts two winters ago, which I would have been very disappointed to miss had I not been on a great family trip to Costa Rica at the time! With the roads still partially snow-covered, we decided to leave before dark as we had a couple more hours of driving ahead of us. We spent the night about an hour shy of Halifax. Matt tried Thai food for the first time. He could not have disliked it more. 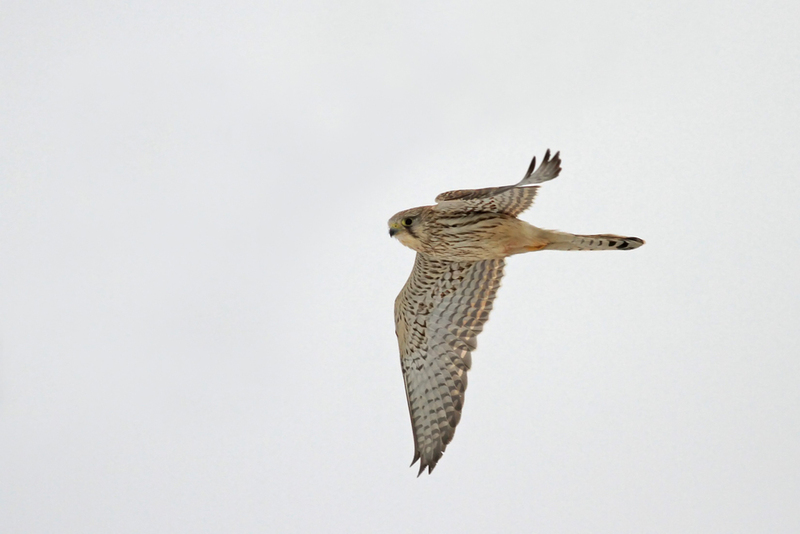 Our target for this morning was mega-rarity #2, EURASIAN KESTREL. 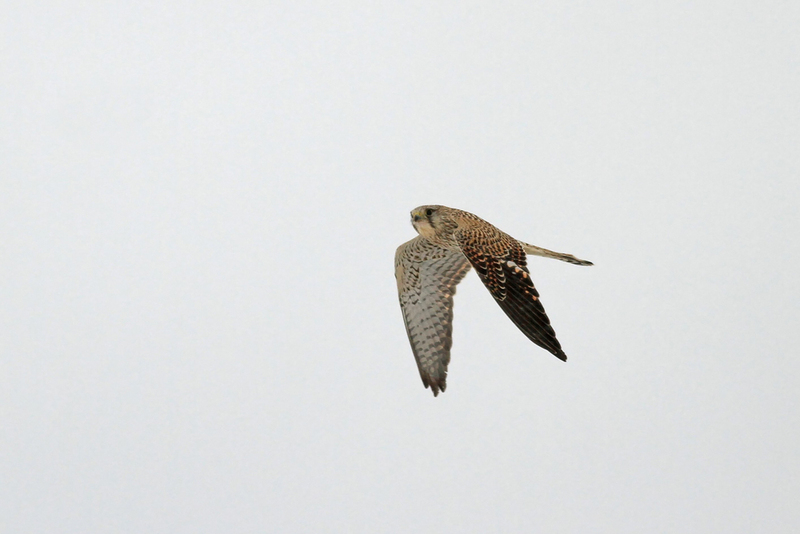 As we neared the end of Shore Road at Hartlen Point, we quickly found the kestrel perched atop a roadside evergreen. 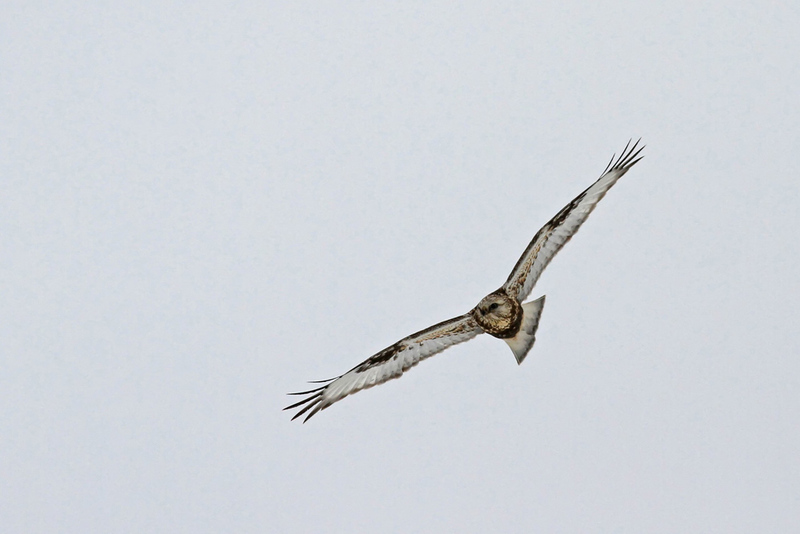 The bird proceeded to fly, perch, and hunt on either side of the coastal road. 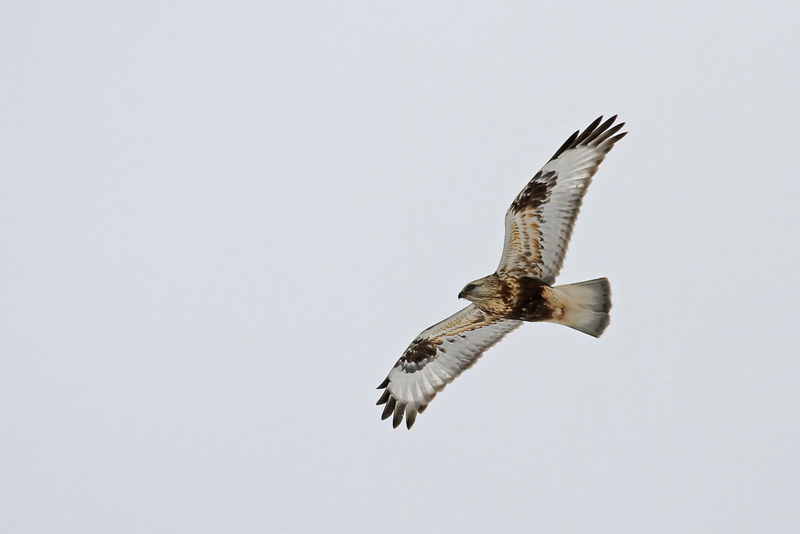 We watched it catch two voles, at least one of which may have been cached. 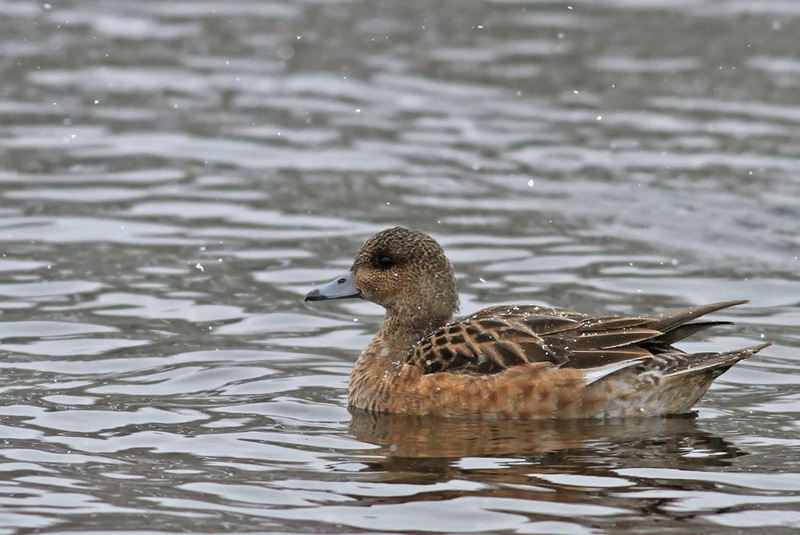 It seemed to be living very well despite the harsh weather conditions. 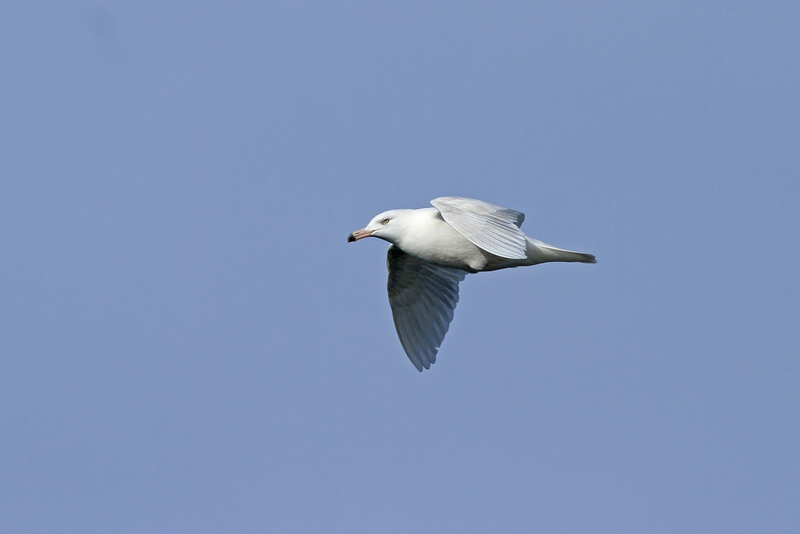 Despite the fact that the bird was often in view and very active, it proved difficult to photograph, perhaps purposely avoiding flying over our vehicle. 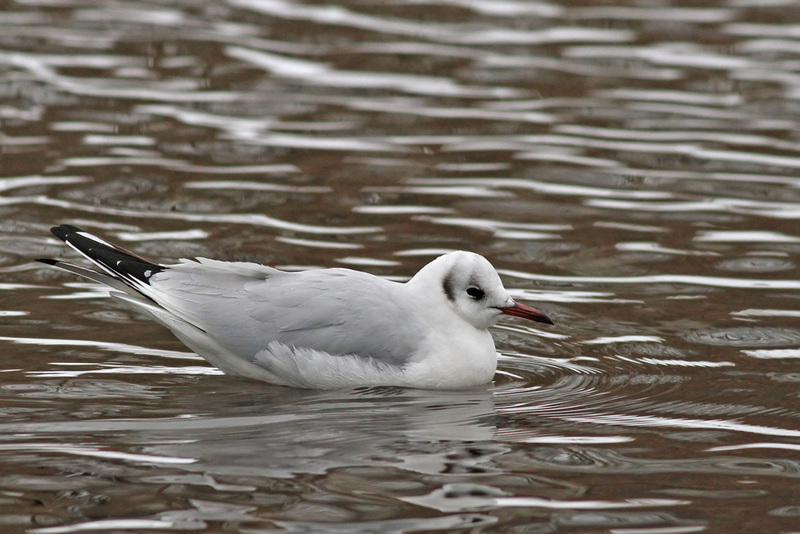 We really enjoyed viewing through scopes and binoculars as this bird did its thing. 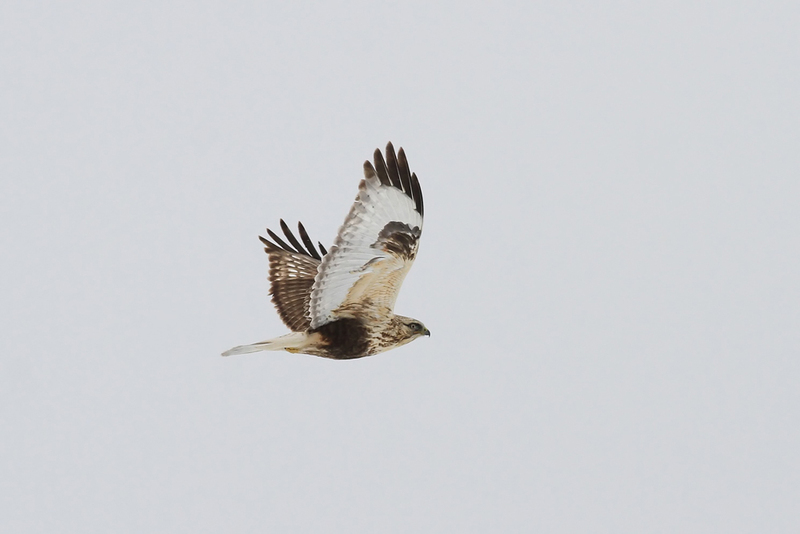 After spending significant time with the kestrel (and multiple Rough-legged Hawks) we birded back along Shore Road, stopping periodically to scan the water. 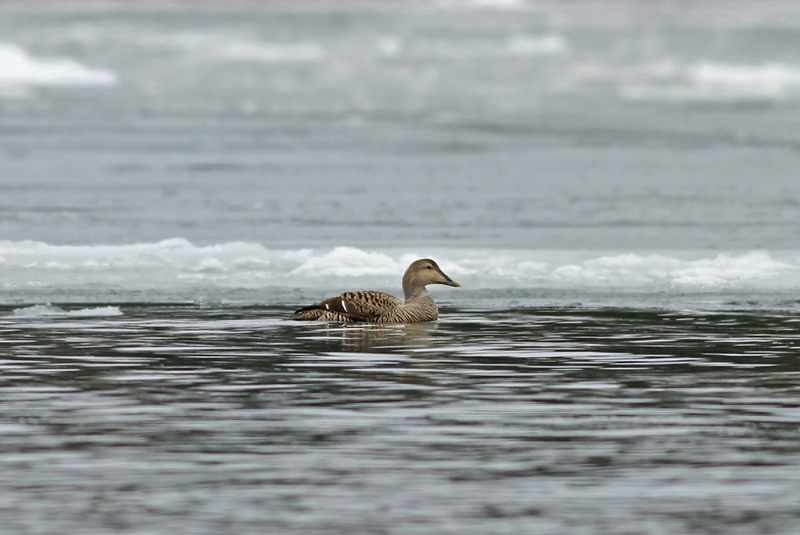 Tom picked out another of the trip's major highlights in the form of a female borealis-type Common Eider. 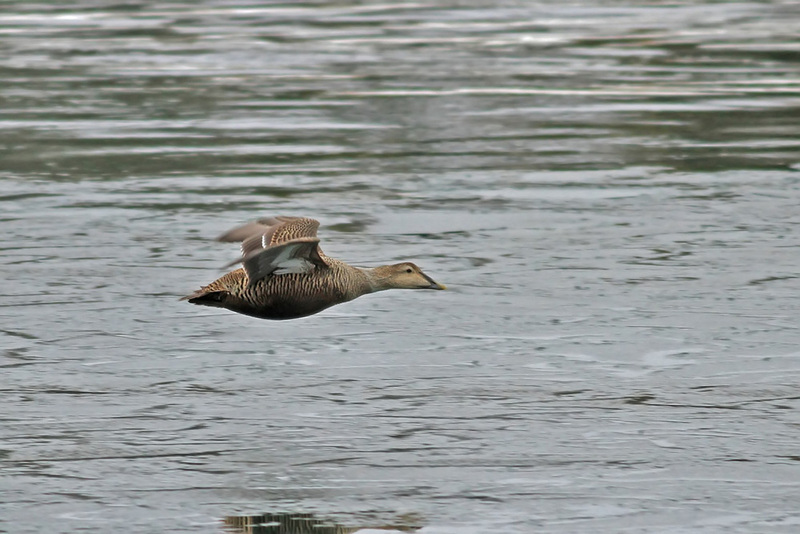 This bird was rather pale grayish overall, especially in the face, and features shorter and pointier bill processes than the surrounding female dresseri eiders. 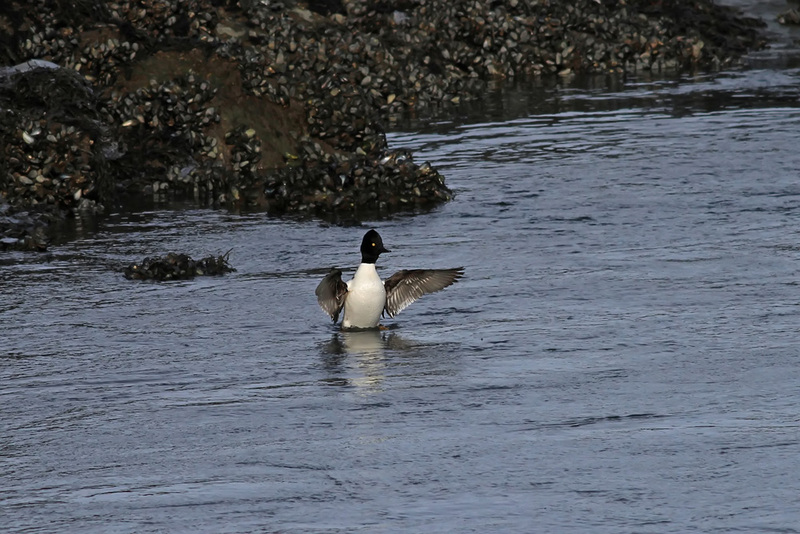 Other highlights along this stretch of road included a male-female pair of BARROW'S GOLDENEYE, several BLACK GUILLEMOTS, and nearly as many "Kumlien's" Iceland Gulls as Herring Gulls. 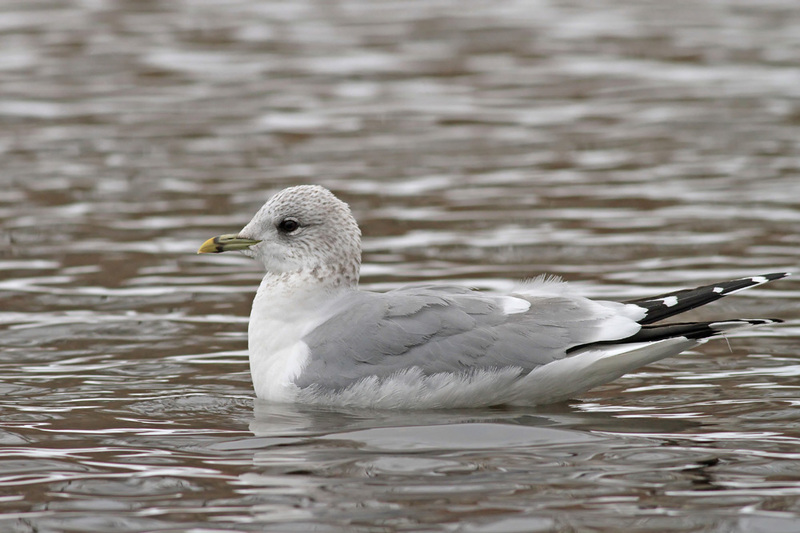 Our next stop would be Sullivan's Pond in Dartmouth for gulls and waterfowl. 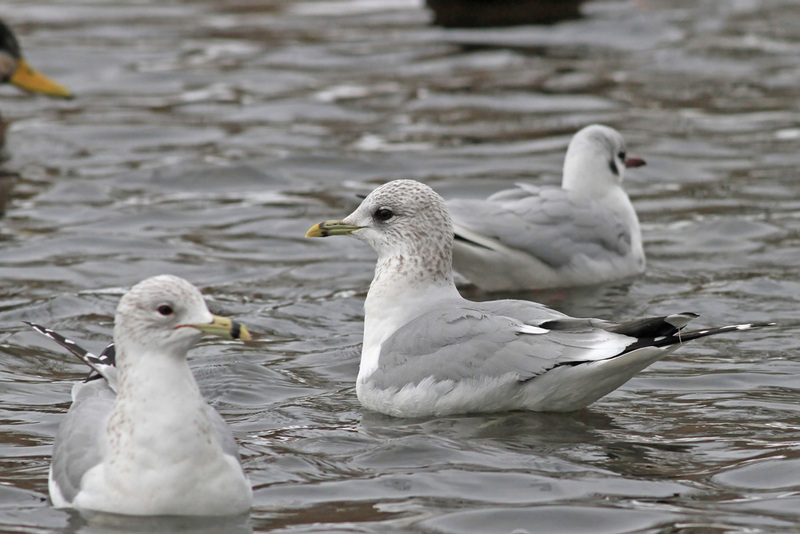 Best birds here were two different adult "COMMON" MEW GULLS, one of which was very cooperative. 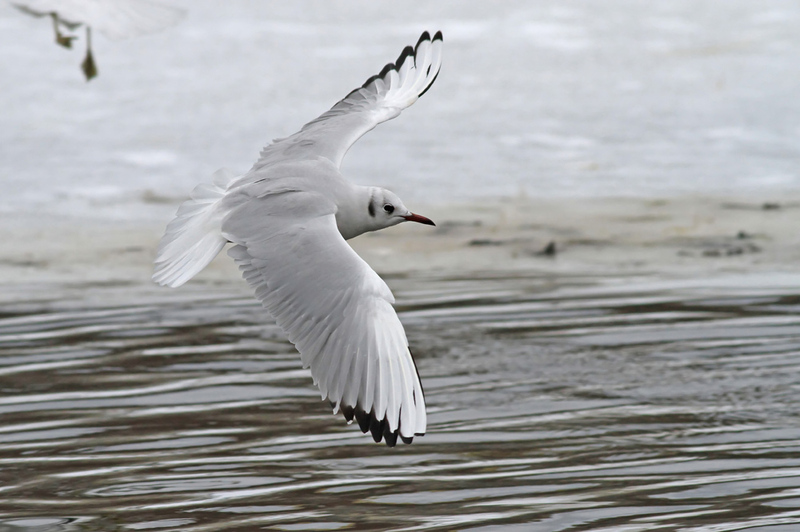 Two adult BLACK-HEADED GULLS were also in the mix. 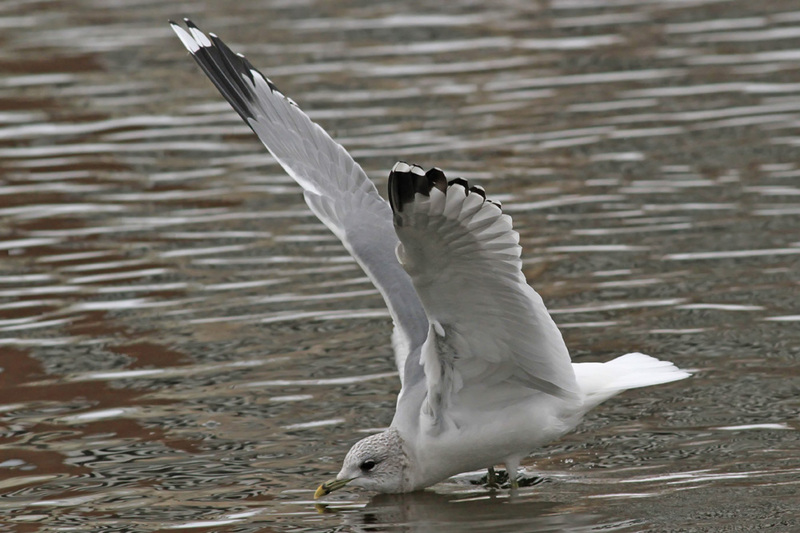 We ended our day watching the harbor near our hotel in Halifax, where we counted 177(!) 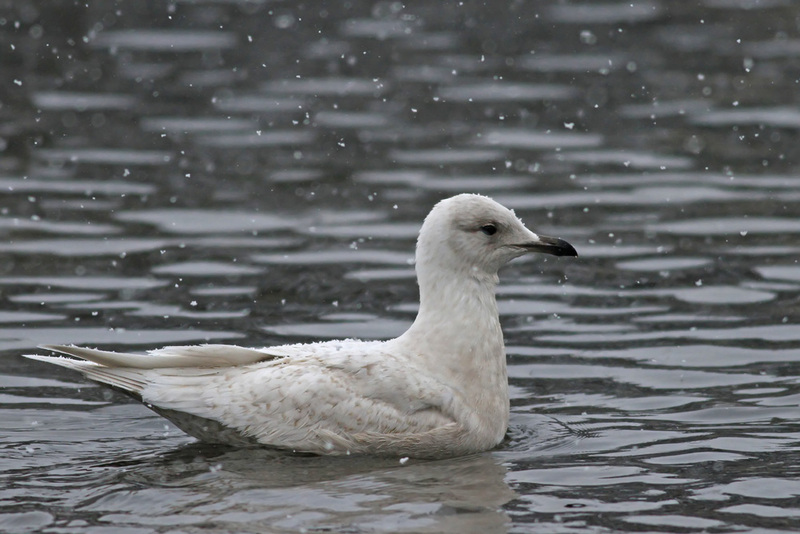 Iceland Gulls in one evening roost flock plus over a dozen more Black-headed Gulls as Black Guillemots whizzed by. 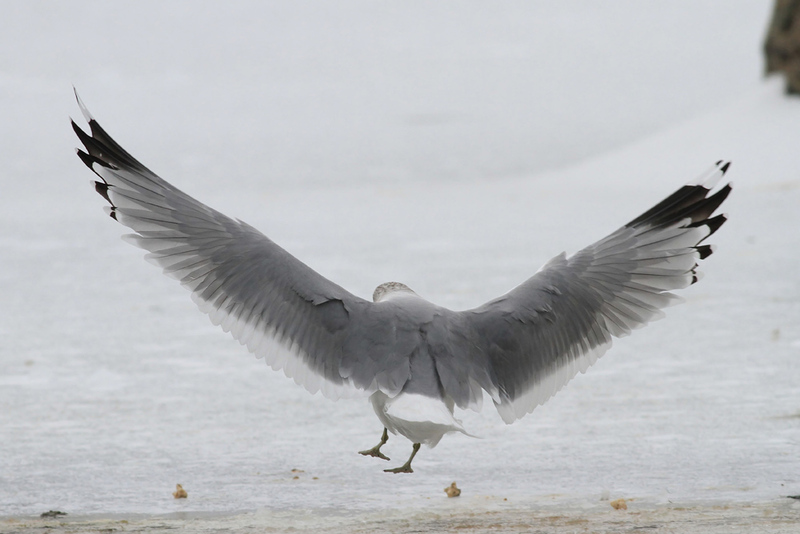 With snow in the forecast, our plan for the day consisted of birding the Hartlen Point/Dartmouth area again for another crack at the kestrel and more gulls/waterfowl, etc. 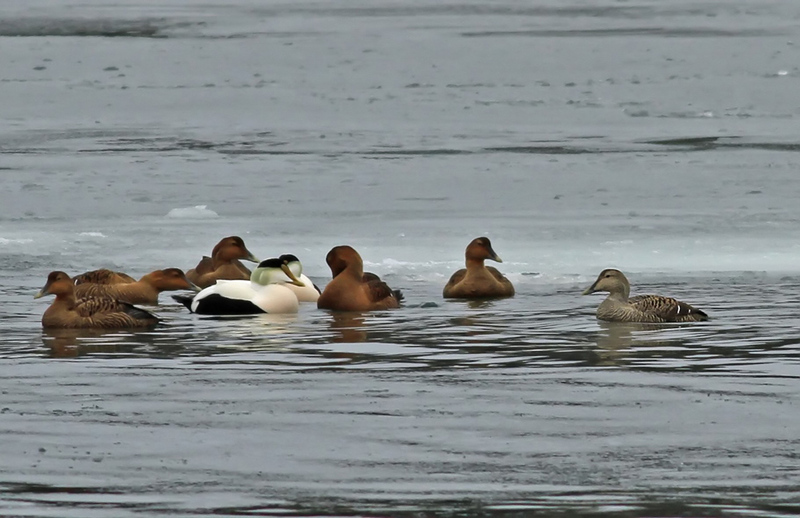 Sullivan's Pond again delivered, today with more waterfowl diversity. 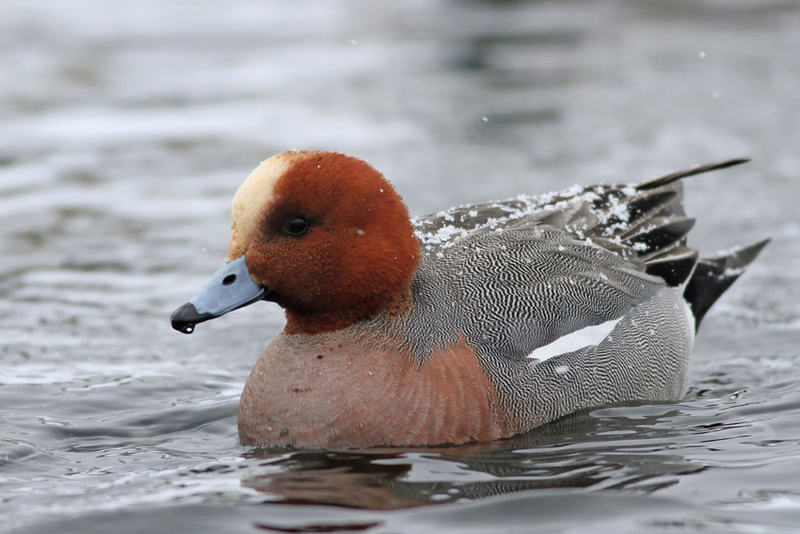 We caught up with a mixed flock of dabbling ducks that contained 3 EURASIAN WIGEON and about 10 American Wigeon. 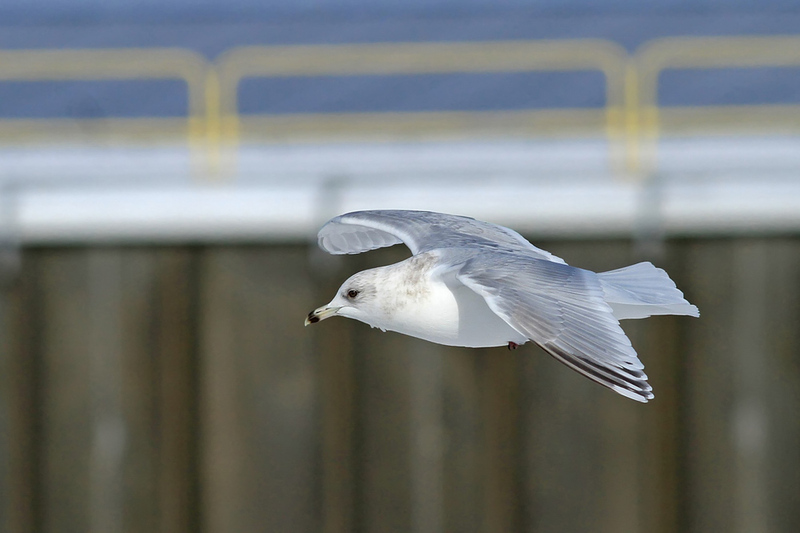 Hartlen Point again produced a nice assortment of gulls, including counts of 8 BLACK-HEADED GULLS and 35 Iceland Gulls. 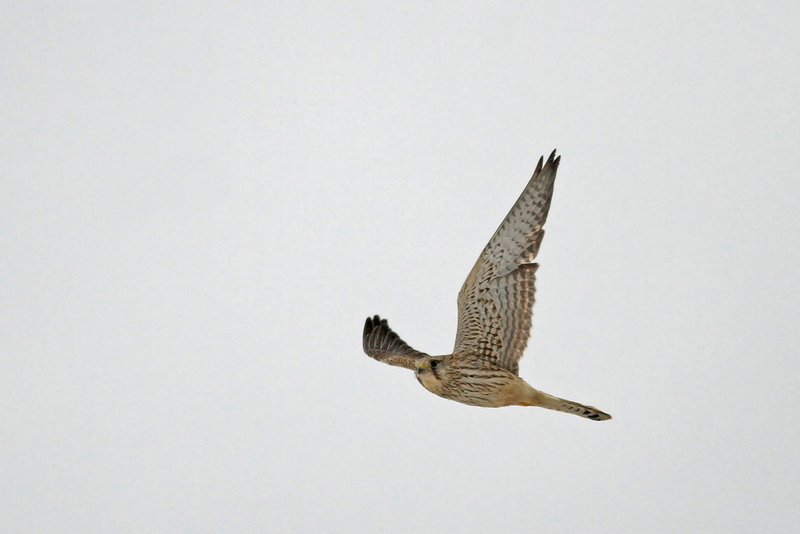 We enjoyed a few more moments with the kestrel, but just as we were about to drive off the bird finally decided to fly over us, showing quite well for a few quick seconds! With snow falling and yet another storm on the horizon for the weekend, we decided that we should begin our drive back towards home, which would be spread out over a few days. We made it back over the US border into Houlton, Maine for the night. With a few inches of fresh powder on the ground, we headed towards the Burn Road in Topsfield, Maine in hopes that it would be drive-able. 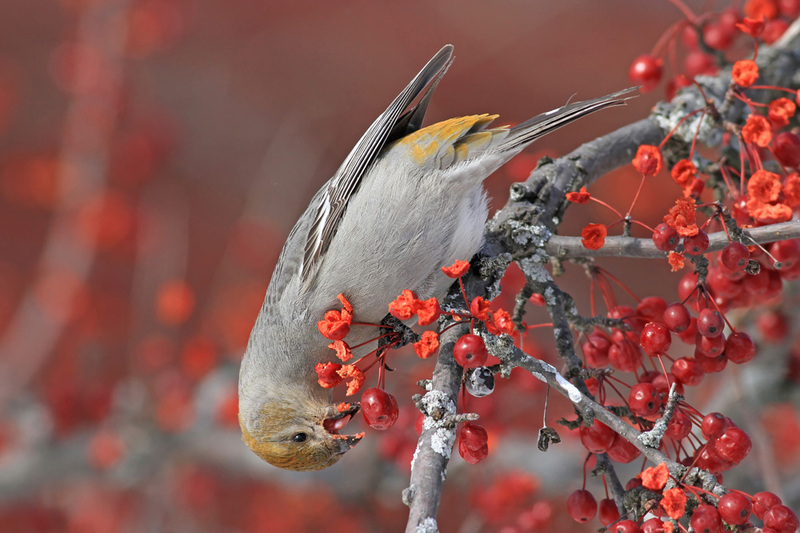 Unfortunately it was snowed in, but we were pleased to find a flock of seven PINE GROSBEAKS make a brief appearance at the road's intersection with Route 1. A bit of exploration along nearby side roads resulted in a brief look at a HOARY REDPOLL among a small group of Commons. 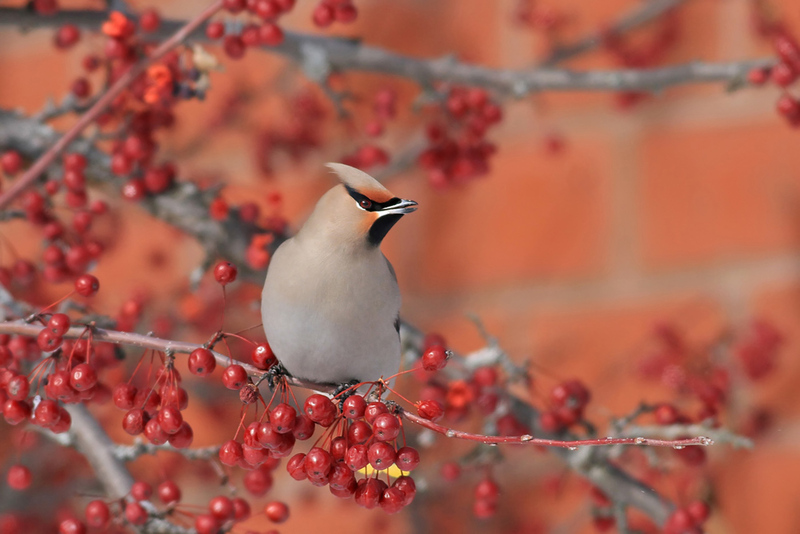 On to the towns of Lee, Lincoln, and Orono for BOHEMIAN WAXWINGS, which had made a major push into the area recently. 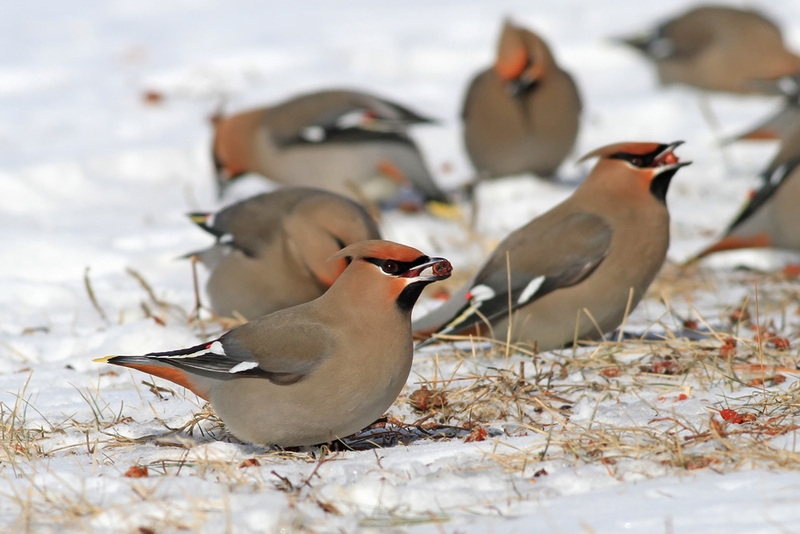 We found waxwings in each of these towns, plus another flock of Pine Grosbeaks on the University of Maine campus, where we managed to confuse/frighten more than one unsuspecting co-ed while we photographed the birds by lying flat on the ground. 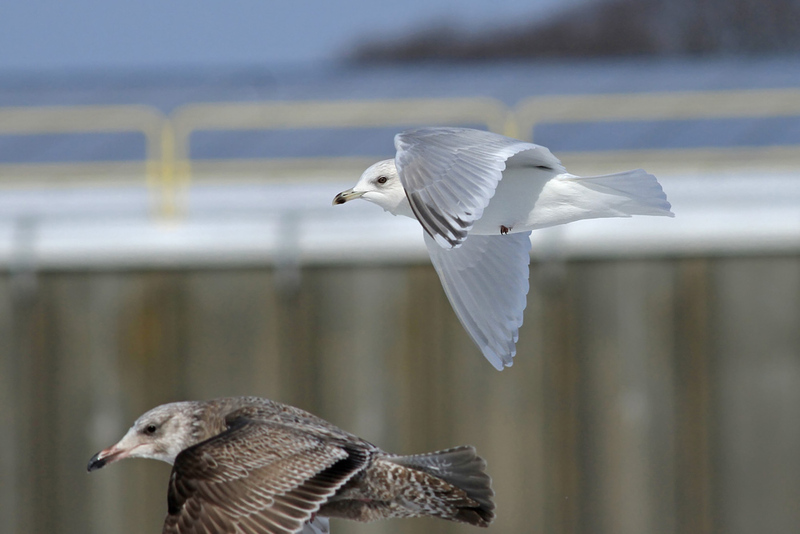 We eventually tore ourselves away from these birds to continue south. 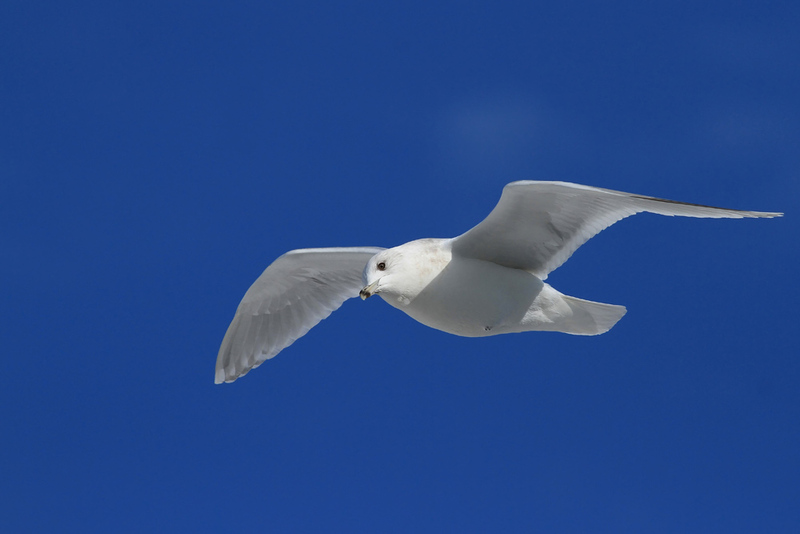 A report of a/the dark Gyrfalcon in Wells, Maine from earlier that day was enticing enough for us to check out. 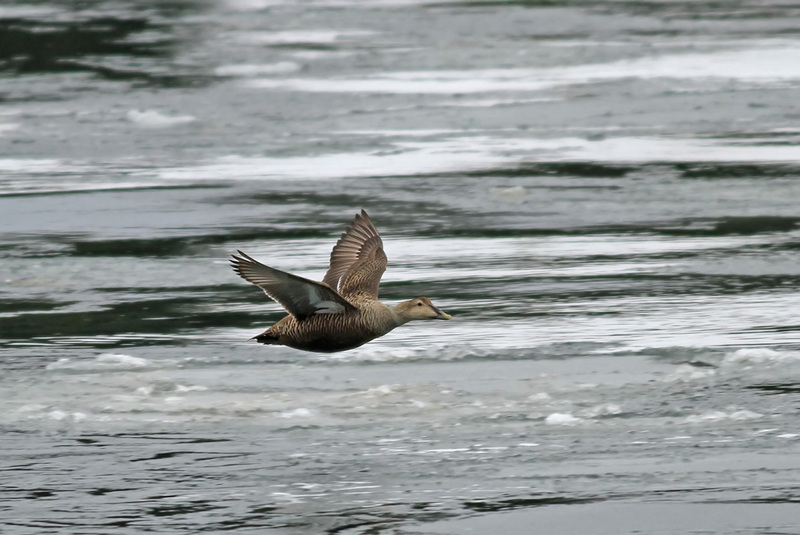 Unfortunately the bird was only seen briefly in the morning and was not around when we checked late in the afternoon. 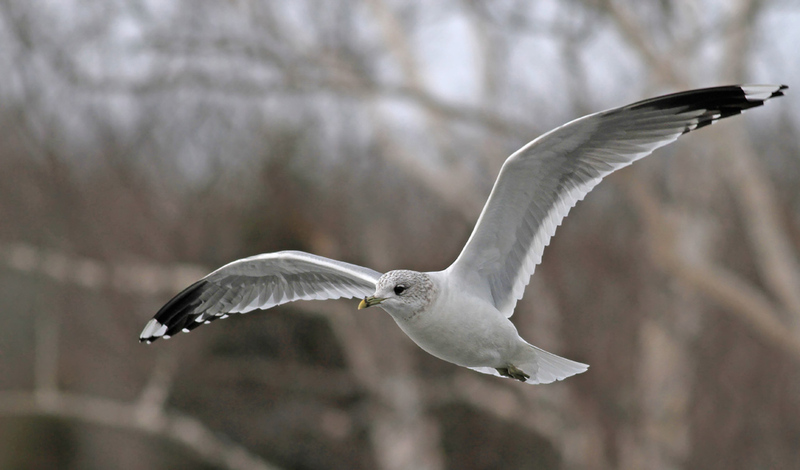 Today was spent birding Cape Ann, Massachusetts ahead of an approaching snow-maker from the southwest. Tom, Matt and I met Jeremiah Trimble and Ryan Schain bright and early at the Jodrey Fish Pier in Gloucester, later joined by Ryan Doherty. 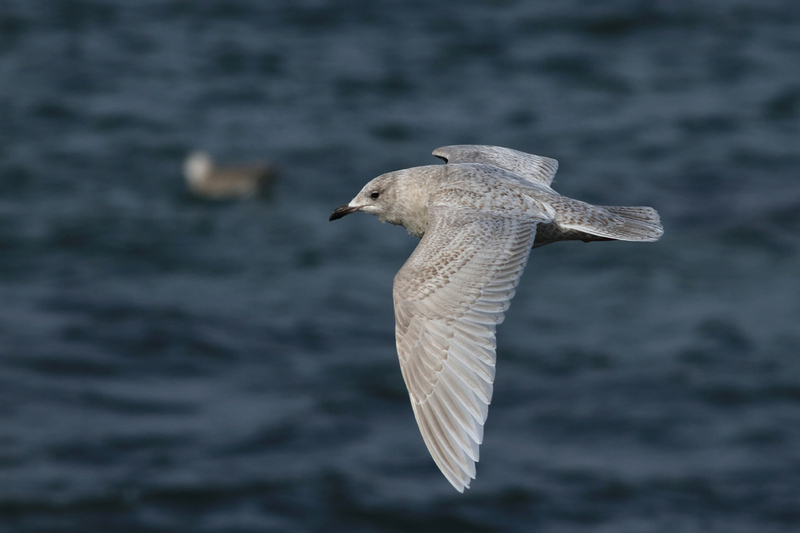 Our highest single count of Iceland Gull here reached 57 birds, plus two GLAUCOUS GULLS and a probable second cycle HERRING x GLAUCOUS GULL hybrid. 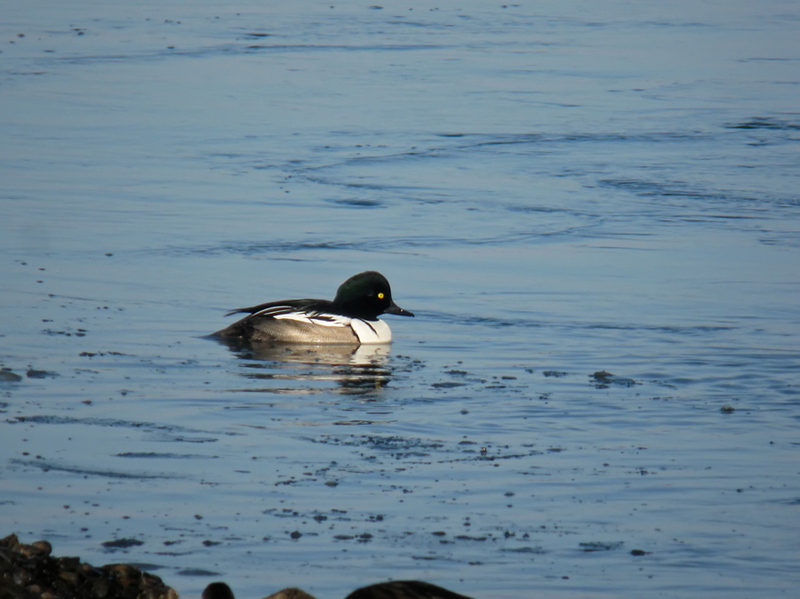 At the nearby Fisherman's Monument, Jeremiah and Ryan showed us a continuing hybrid COMMON GOLDENEYE x HOODED MERGANSER...such a cool-looking bird. As we watched via radar the weather deteriorate to our south, we called it a day after lunch and headed back to Connecticut for the night. Good thing we did, as roads really began to get sloppy as we got back to my place. This road trip was well worth the wait and could not have gone much better. 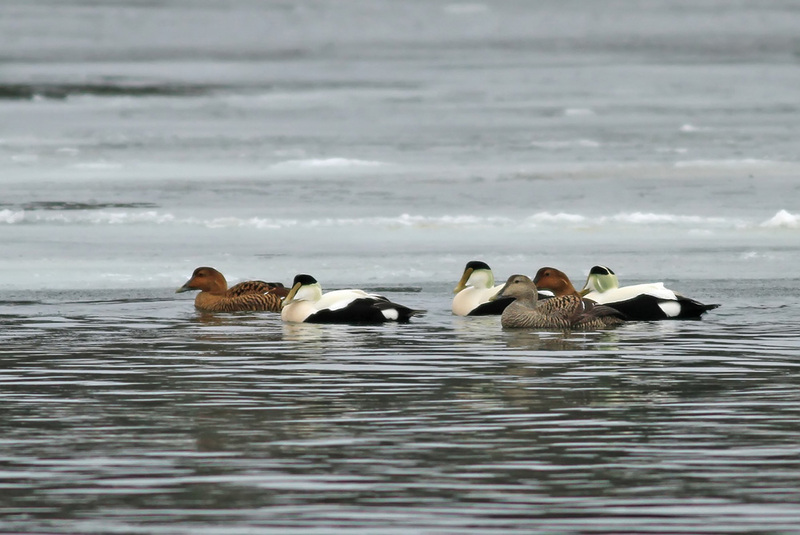 Great birds + great company = great success. We even managed to successfully dodge the nonstop parade of winter storms that have been battering the region lately. 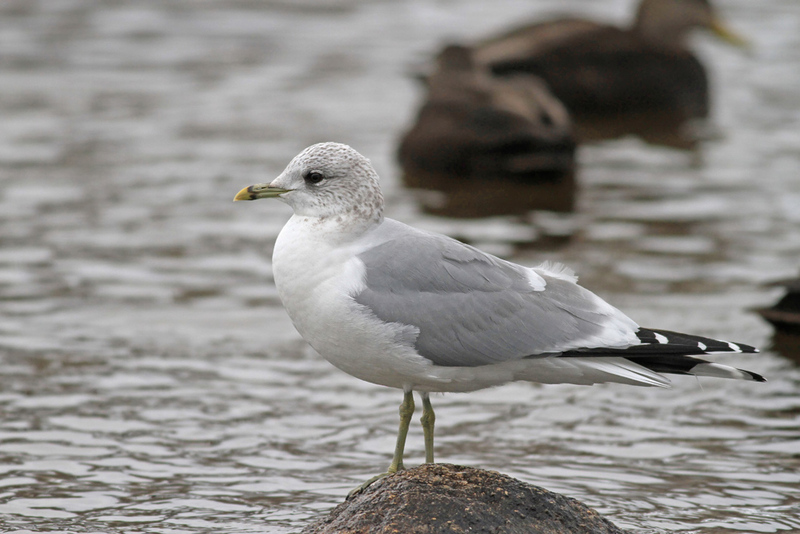 Nova Scotia during the winter is a fascinating place to bird, highlighted by the presence of several European species. Glad you finally made it up there!